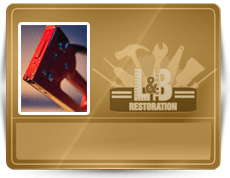 Restoration By L&B, LLC is your total solution for all your flooring repair and installation needs in Indianapolis, Indiana. Our professional flooring contractors retain years of experience and training working with several different types and styles of commercial and residential flooring. 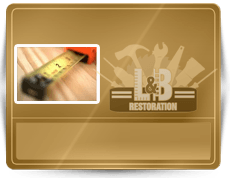 We install, replace, repair, and restore tile floors, wood flooring, laminate flooring, and much more. When you need skilled and efficient flooring repair or replacement, our remodeling contractors are the ones to call. You can reach a live and friendly flooring contractor by dialing 317-454-3612, day or night. 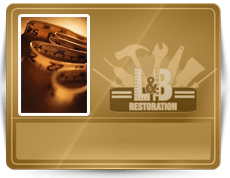 We are dedicated to superior customer support and remain fervent when it comes to finding solutions for our clients’ flooring installation and repair necessities. With just one single phone call, you can get started working with one of our highly trained and qualified flooring specialists who will adamantly prioritize an agenda for your flooring restoration, repair, and installation needs. You can count on us to provide the best in flooring installations and restoration services for commercial or residential properties in Indianapolis, IN. No matter what type of flooring installation or repair you may need, our professional flooring consultants and contractors can provide any and all flooring services with the utmost level of professionalism and quality. Whether you need laminate flooring replaced in your kitchens, wood floors restored in your living areas, or tile flooring installed in your bathrooms, our handy flooring contractors have the tools and expertise to get the job done in a time-frame that fits your busy schedule! 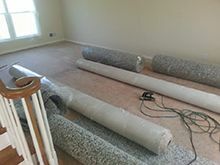 You can expect our flooring contractors to arrive on-time, fully equipped, and neatly dressed; as well as, perform all duties and expectations with the highest degree of efficiency, professionalism, and quality. We can get rid of all your home remodeling and flooring repair headaches with just one phone call! Just dial 317-454-3612 and learn more about your flooring installation and repair options in Indianapolis, IN and its surrounding counties today. 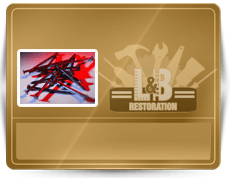 When you call Restoration By L&B, LLC, you can expect to receive the lowest and most competitive quotes for home and office flooring services and repairs in Indianapolis, Indiana. Just when you think you cannot afford flooring installation and repairs, our general contractors will disclose the exciting level of savings you are entitled to for your flooring service needs. This is because our company offers the most competitive prices for flooring repair, installation, restoration, and replacement in all of Indianapolis. To validate this guarantee, we will match and BEAT any competitors’ prices for the same services! If you find a better deal, we will beat that price with a better estimate and higher quality services. Contact us at 317-454-3612 for details about our unique and unbeatable savings for flooring services and repairs in Indianapolis, IN and its surrounding counties.